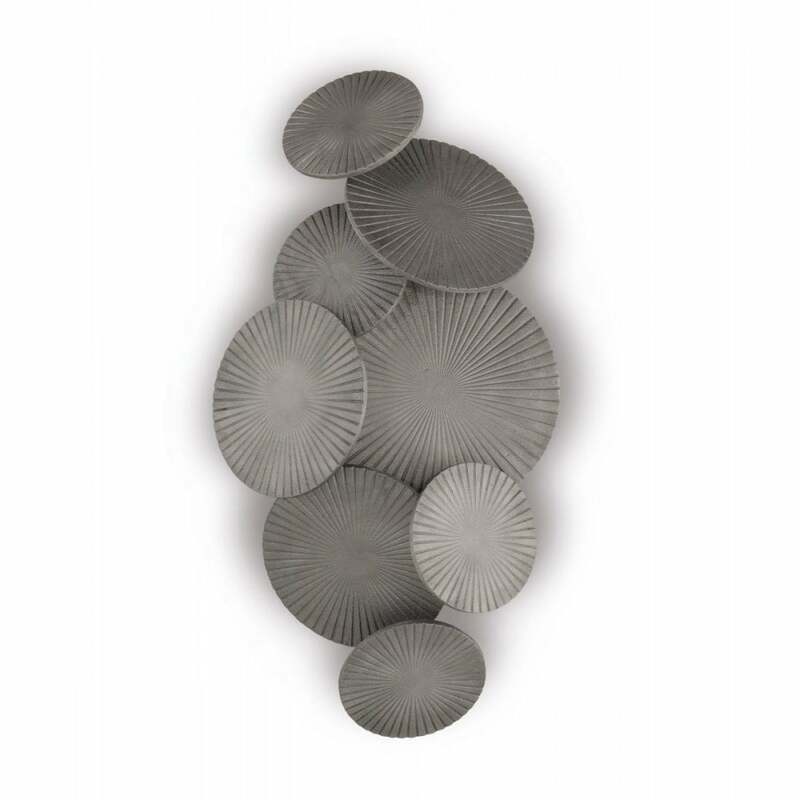 A playful twist on a class wall light, this striking piece is created using varying sizes of metal discs. Set in a vertical design, each circular form is angled in a curved profile to catch and reflect light around a room. Generous in scale, the Nova Wall Light exudes a feeling of pure luxury creating a soft ambience suited to both modern and classic schemes. Like a piece of artwork, Nova is inspired by contemporary jewellery designs and is crafted with the utmost care and precision. Featuring a linear pattern and metallic finish, choose from Brass, Bronze or Aluminium. Part of the Nova family by Porta Romana, it is also available as a ceiling light and bulkhead. Make and enquiry for more information.